In mission critical situations, the facilities manager needs to depend on an emergency generator to keep things running. Ensure that your emergency generators are maintained and ready when you need them. 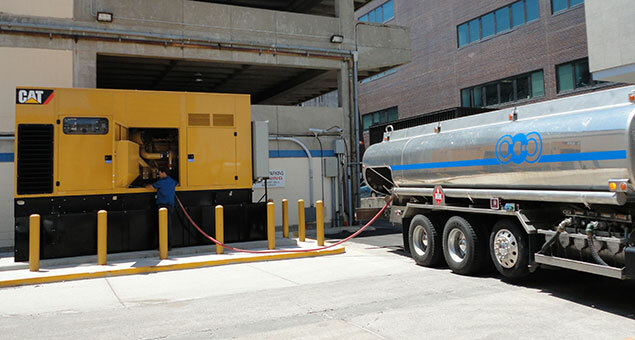 With our Emergency Generator Fueling Program, when the power is out, we guarantee fuel deliveries to keep your generator operating until the power is restored, regardless of how long the outage lasts. A CCO representative will work with you to create a service level procedures in the event of a power outage. If you depend on an emergency generator to keep your operation running, we'd like to make sure it's ready when you need it.